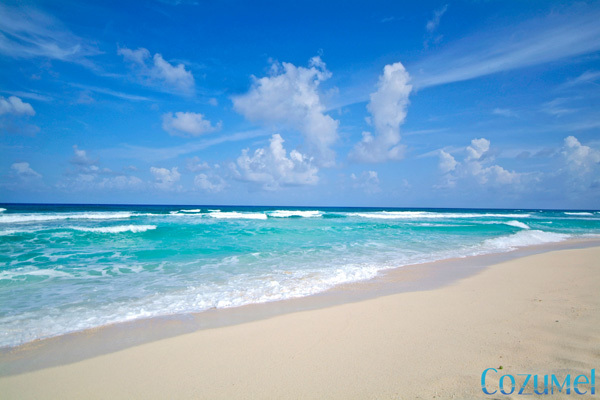 Cozumel is Mexico’s largest island, and offers dual delights that take visitors above and below water. 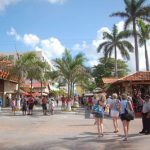 It is a very special destination thanks to its friendly, laid-back, tropical island atmosphere, world famous diving, and stunning Caribbean beauty. The jewel-shaped, flat-as-a-pancake island lies just 12 miles off the Yucatan Coast, and measures some 28 miles long and 10 miles wide. Surrounding the island’s limestone shores are temperate, crystal clear waters which range from stunning turquoise, to aquamarine, to deep indigo. 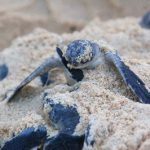 Following a 1961 documentary by Jacques Cousteau, Cozumel began earning a world-wide following of divers who have consistently ranked it one of the top five dive destinations on the planet. Cozumel offers great wall and reef diving. Our favorite sites include Chancanaab Reef, San Francisco Wall, Tormentos Reef, Maracaibo Reef, Palancar Caves, and Santa Rosa Wall. Cozumel offers diverse diving for all levels. You can book specialty boats for speed or advanced diving, and choose from 2-tank, 3-tank, morning, afternoon and night diving, as all are available. For non-divers, the island’s attractions include over 35 archaeological sites. 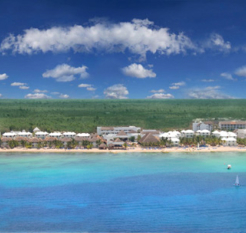 After years of traveling, Cozumel is still one of our favorite destinations. Great value, great food and fantastic diving…the perfect combination. Dive House is a PADI 5 Star dive operation, a TDI training facility, and a Universal Referral Center with two locations on the island, one in the main plaza of town and the other at the Fiesta Americana Cozumel Reef Hotel (right). We offer two tank boat dive trips twice daily with departures at 9:00 am and 1:30 pm. Dive sites are decided upon by the divers on the boat and usually include one wall dive and one reef dive. Night dives are available on Monday, Wednesday and Friday. We own and operate five boats, all fully equipped with VHF radios, depth sounders, DAN oxygen units, first aid kits, and life vests. The four larger boats, a 46′ Sea Ray, a 42′ Sea Ray, a 35′ Bruno Stillman and a 30′ Island Hopper, are also equipped with cabins, heads, freshwater showers, camera racks, and water level dive platforms with ladders. Dive boat capacity varies between 8 – 26 divers. Large groups can be accommodated together. For individual divers, the maximum number of divers per boat is limited to twelve. We have developed an “Experienced Diver Program” where divers are grouped on boats according to their own experience level, allowing them to enjoy their dives in the company of other divers at similar experience levels. Gear storage lockers, freshwater showers, and gear-washing facilities are available at our Fiesta Americana location. Scubapro rental equipment is available at both locations. Divers can be picked up from their hotel piers. Dive Paradise has been providing safe, reliable and fun-filled scuba diving in Cozumel, Mexico for over 20 consecutive years and is proud to have earned the reputation as “the name you know and trust”. Our professional, enthusiastic staff helps Dive Paradise maintain its enviable safety record among the island’s major operators. With an impressive fleet of boats and a staff of over 80 instructors, divemasters, captains, retailers, renters, managers and more, Dive Paradise is Cozumel’s largest independent dive operator. With 1, 2, & 3 tank trips departing regularly throughout the day, you’ll enjoy the flexibility you deserve while on vacation. Choose from a relaxing “Caribbean” style dive trip or an “Express” trip which combines smaller groups and faster boats for more efficient diving. No more limited departure schedules. Whatever your desired dive day looks like, Dive Paradise will do their best to make it happen. SATISFACTION GUARANTEED – Dive Paradise will not let a reasonable client go away angry. 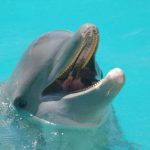 Should you have a problem with any of our services you need only speak with Renee ‘Apple’ Applegate, owner/operator of Dive Paradise, to resolve it. On the rare occasion when she is not at the store, she can be easily located by one of our staff. We have more phones and radios than an urchin has spines. Other Dive Paradise personnel can resolve problems but are always happy to locate Apple to assure client satisfaction. We want you to keep coming back! 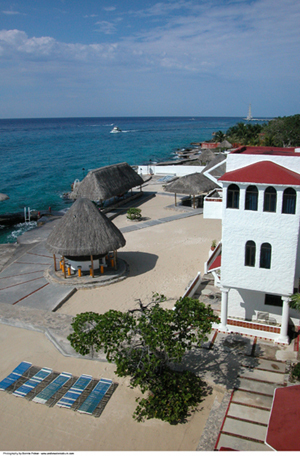 Scuba-Cozumel is the in-house, PADI 5-Star dive operation at Scuba Club Cozumel resort. The full service dive center includes an air filling station consisting of four compressors and a four-stage filtering station, a full line of rental gear, a repair shop, and an International Training Center offering a full selection of courses & certifications. 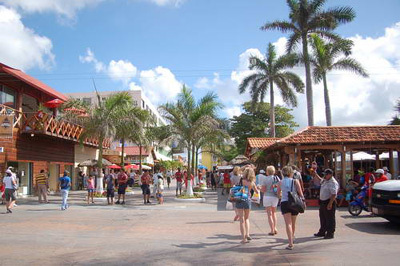 The Scuba-Cozumel retail store can be found directly across the street from the resort. Dive gear lockers and freshwater rinse tanks are located next to the dive center, which is conveniently located just steps away from the dock. 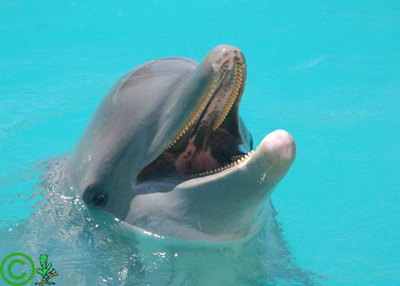 The dive center opens daily at 7:00 am, with the first boats departing at 8:30 am for a two-tank morning. Also scheduled daily are afternoon wreck dives (departing at 3:00 pm), two-tank twilight dive trips, and night dives. 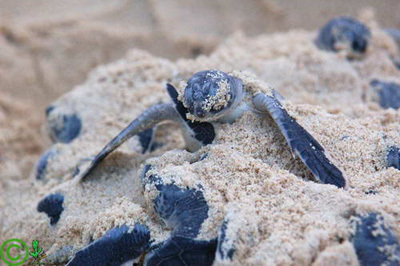 Unlimited beach diving may also be enjoyed just offshore from the resort. A fleet of seven custom-built dive boats feature VHF radios, first aid kits, emergency equipment, oxygen kits, heads, rinse tanks, and wide dive platforms with sturdy ladders. Three of these can accommodate 8-10 passengers each, one can accommodate 12-15, and the other three can accommodate 14-20 passengers each. All dive sites are within a 10 to 50 minute boat ride from the resort. Based at Presidente InterContinental Cozumel Resort & Spa, Scuba Du is a PADI Gold Palm 5 Star Operation that has been providing quality service and personal attention since 1992. A fleet of 6 custom dive boats is equipped with DAN oxygen units, VHF radios, and friendly, experienced crews. Boats depart for two tank dive trips at 8:15 am and 1:30 pm daily. 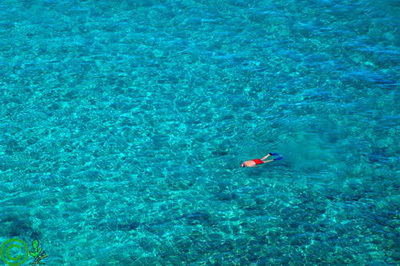 Additionally, there is a snorkeling trip at 9:00 am, a one tank shallow dive trip at 1:30 pm, and a night dive at 6:00 pm. Advanced profile dives and fishing charters are also available. A full range of PADI courses and certifications is offered. Spot Cozumel’s endemic Splendid Toad Fish on this shallow dive. You’ll also spot crabs, lobster, spotted morays, and octopus, as well as many multicolored tropical fish like angels and tang. Great snorkeling & night diving as well. The fresh water flowing out of Chancanaab National Park makes for a mild current and very pleasant dive. Lots of schooling fish and giant lobsters. This is another great spot for night diving. The shallowest wall dive in Cozumel! Loaded with sponges and colorful tropical fish. A swift current allows you to fly along the face of the wall, passing beds of tunicates, giant sponges, huge coral overhangs, and impressive caves and tunnel systems. Accompanying you on your flight will be various large angelfish and grouper. 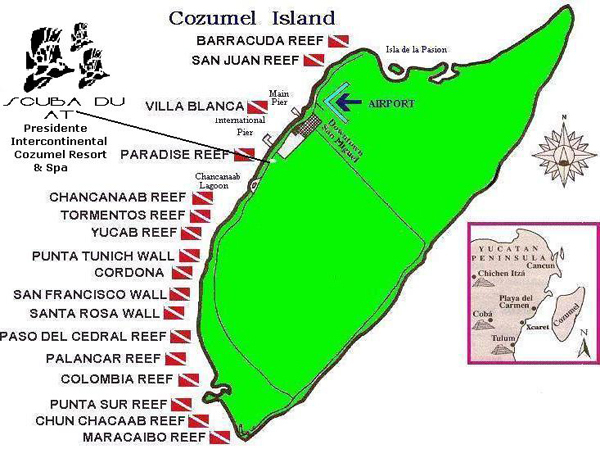 Cozumel’s most famous reef is divided into at least 6 diveable sections based on depth and coral formations. Palancar Horseshoe, Palancar Caves, Palancar Gardens, Shallow Palancar, & Deep Palancar are but a few of the sites to experience. Explore coral formations, tunnels, caves, caverns, and walls….a plethora of marine life awaits discovery. 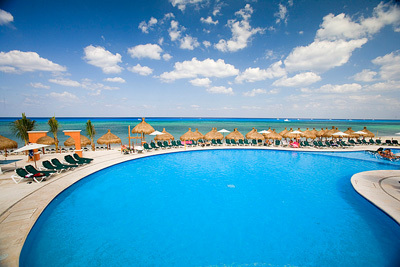 This charming Mexican hideaway is located across Cozumel’s main boulevard, facing the blue Caribbean Sea. 98 Ocean View Rooms (1 of these is a Jr. Suite) & 8 Deluxe Cabanas feature all the amenities you’ll need for a comfortable stay, including balconies, a/c, and drying racks for your dive equipment. Additional hotel amenities include Del Mar Aquatics, a fully-equipped dive facility, a swimming pool with pool bar, a Jacuzzi, The Coral Reef restaurant, a nice beach area with palapas, and Nachi Cocom, a beach club located ten minutes south of the hotel. 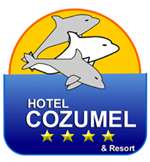 Hotel Cozumel & Resort is just one mile away from gorgeous downtown Cozumel, and within walking distance of the main shopping and night entertainment areas. 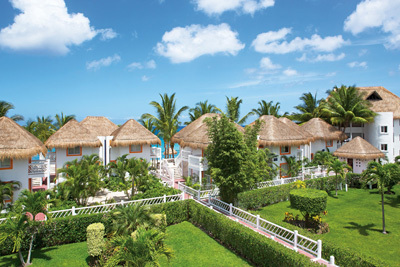 A three-story, Mexican-style building offers 174 Standard Rooms, 6 deluxe Junior Suites and 1 Master Suite. All rooms feature air-conditioning, satellite TV, direct dial telephone, coffee maker, alarm-clock, safety deposit box, iron and ironing board, shower and bathtub, hairdryer and toiletries. 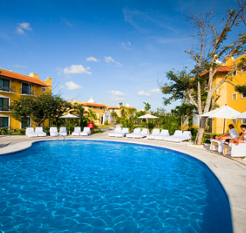 All Standard Rooms (left) are equipped with one king or two double beds and all have their own private balconies, most of which overlook the largest swimming pool in Cozumel! 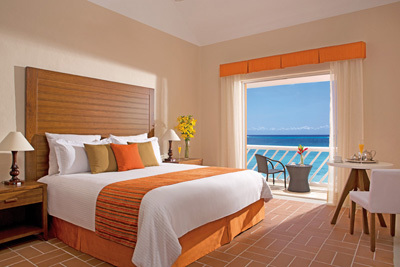 The more spacious, deluxe Jr Suites (right) offer king size beds and feature balconies with jacuzzi tubs that overlook the Caribbean. he Master Suite (left) features a comfortable living room with a plasma screen TV and DVD player, a dining room for 6, and a well equipped kitchen. The master room has a king size bed, plasma screen TV, telephone, walk-in closet, clock radio, safety deposit box, and spacious marble finished bathroom with bathtub, shower, hairdryer and deluxe toiletries. The additional room is equipped with two double beds, closet, plasma screen TV, telephone and adjoining bathroom. A huge terrace overlooks the swimming pool, Jacuzzi and sun terrace. Dive Paradise, an independent PADI dive operator, offers Scuba tours from Hotel Cozumel’s seaside dock and also operates an on-site dive shop for any last minute purchases. Also located on-site are private gear lockers and rinse tanks. This exclusive luxury resort is located on a private section of Cozumel’s famous Playa San Francisco, on the southern side of the island. The picturesque resort is set against a nature preserve of lush tropical foliage and powdery coast, and the mangroves and boardwalks that can be found throughout the grounds of the resort echo this natural beauty. 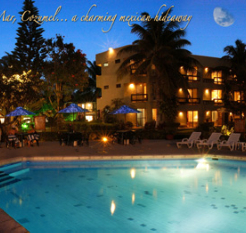 The discerning traveler will be highly satisfied with the level of services, accommodations, and facilities that Occidental Grand Cozumel has to offer. The resort offers 251 rooms. Deluxe Rooms (left) feature either a king or two double beds, a/c, ceiling fans, private bathroom with tub, balcony, satellite TV, telephone, hair dryer, stocked mini fridge, safety deposit box, and an iron with ironing board. Wi-fi service is also available in all rooms. For those seeking executive level service, The Royal Club offers spacious rooms & suites (right) with hydro-massage bathtubs, luxurious linens & pillows, Etro toiletries, nightly turndown service, fruit baskets, and plush bathrobes. Added amenities include private check-in & check-out, personal concierge service, a private restaurant, private pool with solarium, preferred seating at a-la-carte restaurants, and a complimentary high speed internet desk. 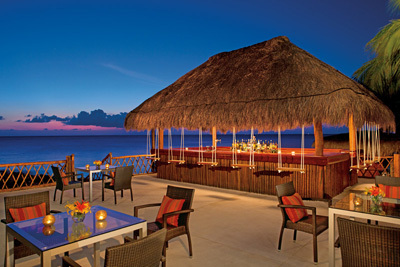 This unique resort, located on nearly 1,000 feet of Cozumel’s most prized white sand beach, overlooks the channel between the island and the mainland. 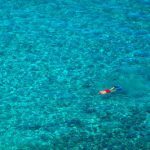 The property is only minutes from the colorful and abundant coral reefs that have made the island one of the world’s top snorkeling and diving spots. 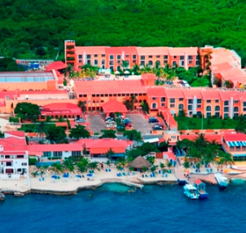 The hotel is only 7 minutes from downtown Cozumel and 15 minutes from the International Airport. A recent $25 million renovation resulted in the design of a number of new facilities including a new pool, new restaurants, a Mandara Spa and a Scuba Certification Training Center. The superb dive operation “Scuba Du” is located on-site. 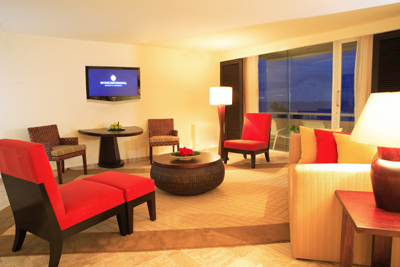 The redesigned rooms and suites feature luxurious furniture and incorporate state of the art amenities. 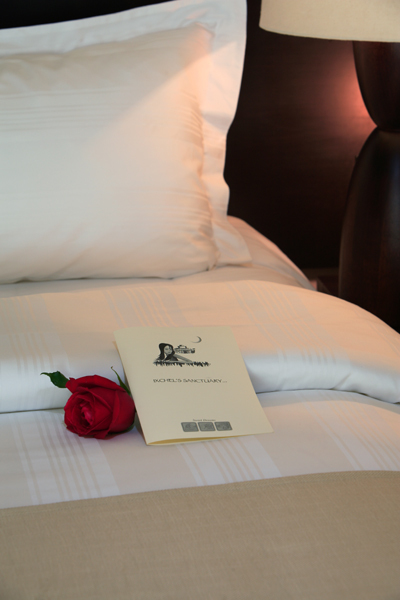 The resort also reduced its room inventory and created an additional category of deluxe suites. These “Ocean Suites” offer unparalleled views of the Caribbean Sea. 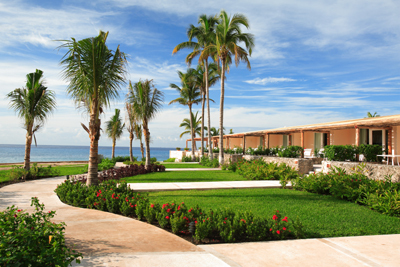 All of the resort’s 220 rooms and suites offer balconies or terraces. All King-size or Double-bed rooms feature Egyptian cotton duvets, bathrobes, flat screen TV, wireless internet, in-room safe, hairdryer, vanity mirror, scale, in-room coffee maker, well assorted minibar, complimentary bottled water, alarm clock radios with MP3 ports and twice-daily maid service. Comfortable rooms with private balcony or terrace, overlooking the Sayab Pool and gardens. “Sayab” in Mayan means water source, and this quiet pool is an oasis amidst the resort’s gardens. 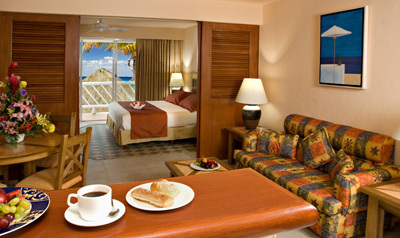 Spacious rooms with balconies and inspiring ocean-front views of the beaches and Caribbean Sea. Oversized rooms with ample private terraces offering direct access to the beach. Most rooms feature interior patios with outdoor shower areas. Terraces are furnished with chaise lounges, double gliders and hammocks. One-bedroom suites offering spectacular views of the Caribbean Sea. All suites include balconies and oversized bathrooms featuring glass-enclosed bathtubs with ocean views and an enhanced living room area with couch. Two-bedroom suites offering spectacular views of the Caribbean Sea. All suites include balconies and oversized bathrooms featuring glass-enclosed bathtubs with ocean views and an enhanced living room area with couch. Master room offers a king-bed and connecting room features double-beds. The suites measure over 1,200 square feet. Reef Room Deluxe – 10 exclusive accommodations with privileged location on the northern side of the hotel, and direct access to the beach and reefs. These exclusive rooms with unparalleled views of the Caribbean Sea, feature private terraces furnished with chaise lounges, double gliders and hammock chairs. Services include twice-daily maid service and exclusive 24-hour Butler service. Reef Suite Deluxe – 5 unique suites with privileged location on the northern side of the hotel, and direct access to the beach and reefs. These exclusive suites with unparalleled views of the Caribbean Sea, measure over 1400 square feet and have king size beds and private terraces furnished with chaise lounges, double gliders and hammock chairs. Services include twice-daily maid service and exclusive 24-hour Butler service. Presidential Suite – Two distinctive suites measuring 4,280 square feet, located in the most exclusive areas of the resort with breathtaking views of the Caribbean Sea and the resort. 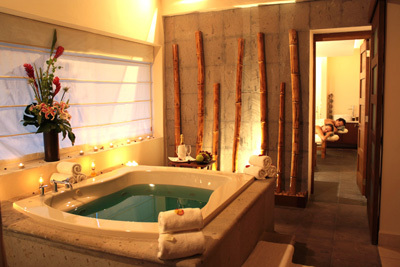 The suites offer three bathrooms and two bedrooms. 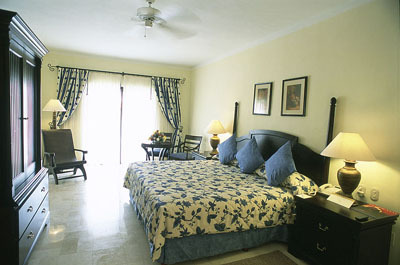 The master room offers a king-bed and the connecting room features two double-beds. Enjoy a fully equipped kitchen, living room and dining room. Extremely spacious private terraces are furnished with chaise lounges, double gliders and hammock chairs. Services include twice-daily maid service and exclusive 24-hour Butler service. 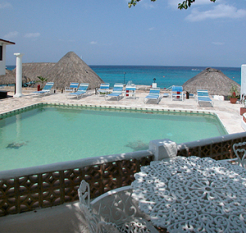 Scuba Club Cozumel is a special scuba diver’s retreat! 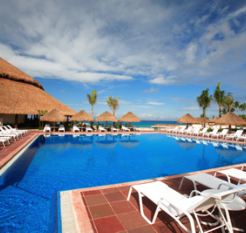 This 61 room hacienda-style dive resort is located on the waterfront, one mile south of the downtown ferry dock. Designed and built by divers for divers, Scuba Club Cozumel was Cozumel’s first dedicated dive resort and is still a favorite among diving aficionados. In fact, it has been ranked one of the top ten dive resorts and dive operators in the world and the #1 Best Value by readers of Rodale’s Scuba Diving Magazine. All rooms are finished in tile and stucco, and feature private terraces, air conditioning, ceiling fans, alarm clocks, small refrigerators, and drying racks for your dive gear. Choose from a Single Room with 1 king (left), a Double Room with 2 double beds, or a Triple Room with 2 doubles and an additional sitting area with a twin size bed (below). Sunscape Sabor Cozumel is located right along the beachfront, just 15 minutes from downtown Cozumel and 20 minutes from the airport. Families, couples and singles will enjoy all-inclusive privileges with a variety of amenities and activities throughout the resort including limitless access to dining at four restaurants and national and international alcoholic and non-alcoholic beverages at three bars and lounges. 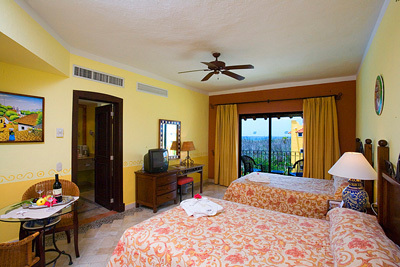 Sunscape Sabor Cozumel offers 218 spacious and finely appointed guest rooms and suites. All rooms feature air-conditioning, flat screen satellite cable television, hair dryer, mini-bar refreshed daily, coffee maker, alarm clock, iron & ironing board, electronic safe, private bathroom, balcony or terrace, and either one king bed or two double beds. 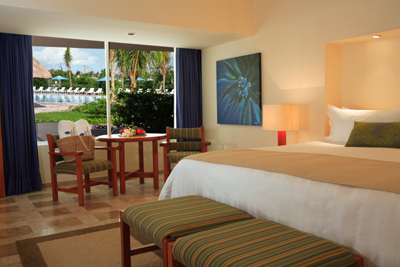 Deluxe Tropical View Rooms look out onto lush gardens planted with palms and other tropical flora. 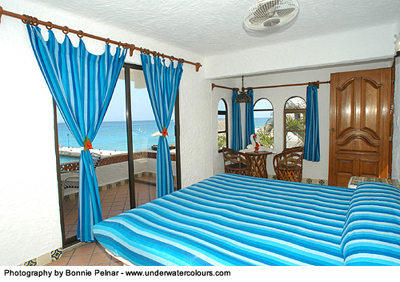 Deluxe Ocean View Rooms enjoy partial ocean views. 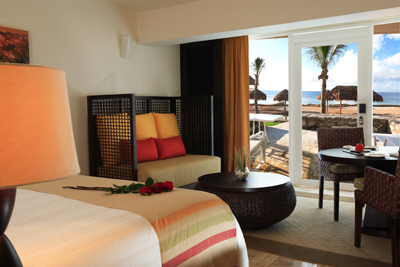 Deluxe Ocean Front Rooms feature full ocean views. If more space is desired, multiple suite categories are also available. Left is a Tropical View Suite. 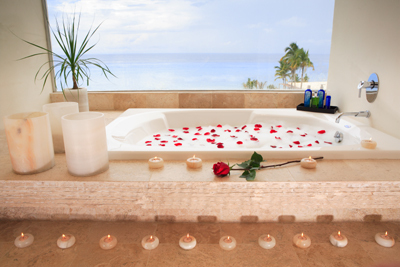 Below is an Oceanfront Honeymoon Suite with Jacuzzi. 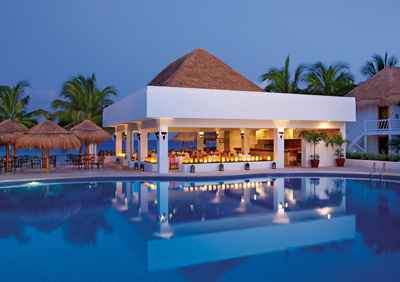 Sunscape Sabor Cozumel offers guests four delectable restaurants including three a la carte restaurants and a snack bar. In addition to international cuisine, guests will enjoy endless domestic and international beverages from three different bars and lounges. Daily activities including aqua-aerobics, beach & water volleyball, Hobie Cats, kayaks, snorkeling & much more! This excellent breakfast spot, located 1 block south of the main plaza, serves Mexican & American breakfast classics like Juevos Rancheros and Hash Browns. Open 6am til noon. Closed on Mondays. This popular open-air Italian restaurant specializes in tasty seafood pasta dishes, although the wood-fired pizza, steaks, and desserts are excellent as well. Reservations recommended. This restaurant is located a few blocks off the main plaza and features delicious, authentic Mexican food. Think chicken slow-cooked in flavorful sauces and fresh fish & shrimp dishes. Also open for breakfast & lunch. 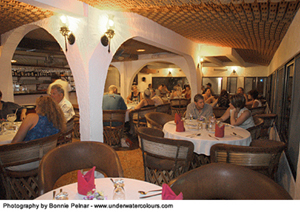 For elegant dining in a relaxed atmosphere, head for this charming restaurant. The cuisine is Mediterranean, the menu is original, and the flavor is lovely. Try the Blue Cheese Filled Phyllo Rolls with Black Cherry Sauce as an appetizer and perhaps Sauteed Sea Scallops with a Cognac Glaze to follow. Good choice for breakfast, lunch, or dinner. Great salads, vegetarian tacos, whole wheat french toast, sandwiches….the list goes on and on. For a fun “touristy” experience, you may want to skip Hard Rock Cafe & Senor Frog’s and head straight for Wet Wendy’s. Best margarita in town! 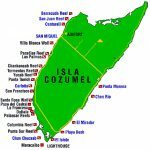 Cozumel is an island in the Caribbean Sea off the eastern coast of Mexico’s Yucatan Peninsula. 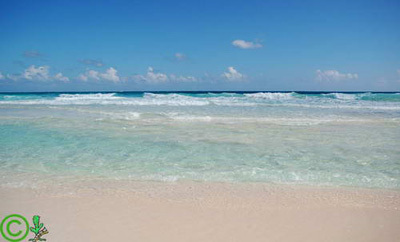 It lies opposite of Playa del Carmen with Cancun to the east. How long are the flights to Cozumel? 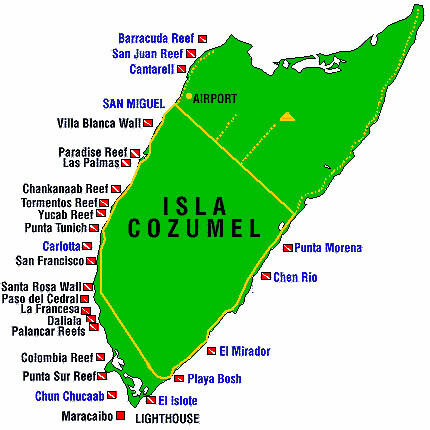 Flights to Cozumel take 5 hours and 45 minutes from Los Angeles and 6 hours and 15 minutes from New York. They use the Mexican peso. For almost all purchases, the US$ is accepted with change in pesos. Bringing smaller denominations of the US$ is suggested, as it is sometimes difficult to break a $100 bill. Spanish is the official language of Cozumel. English is spoken in the main tourist areas. U.S. citizens are advised to have a valid passport. Upon entry into Mexico, you will be given a blue tourist card, which will serve as your visa. This tourist visa is usually good for 90 days. The US Consular Agency is located at Villa Mar Mall in the Main Plaza, Locale #8 Parque Juárez between Melgar and 5th Ave on the 2nd floor. Office hours are M-F, 12-2pm. Telephone: (01-987) 872-4574, 872-4485. They use 110 volts just like the US. However, some newer hotels/resorts are now using the more common 3 hole plug. If you need a converter or adaptor, it is advised that you carry your own. 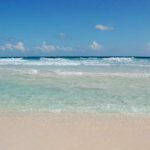 What airlines fly to Cozumel? Continental, US Airways, Mexicana, Delta, American and Frontier. Water temperature averages at about 77 degrees with visibility of up to 100 feet. Some dive sites are subject to strong currents. The busiest times of year are mid Feb to mid April, July and the holiday season. Enjoy colorful walls, lobster, crab, barracudas, huge and brilliant sponges, gorgonians, schools of jacks and angelfish, rays, sharks, turtles, coral heads, dolphins, groupers and morays. Swim-throughs, drift dives, interesting wreck dives, narrow tunnels and caves are all options. Don’t miss the Splendid Toad Fish, found only in Cozumel! Morning dives boats depart between 8:30 and 9:00am. Afternoon dive boats depart at 2:00pm. We recommend wearing a 3mm wetsuit. While the water can get warm enough to go without, we recommend divers wear one for protection.